We believe that investing in marriage is important. Our Marriage Mentors provide pre-marital counseling and enrichment for married couples as well as a more in-depth discipleship program for struggling couples or those seeking to enhance their marriage. We want to come alongside you and help you strengthen your relationship! re|engage is a marriage enrichment program. Marriages in any condition can benefit, whether you simply want to grow closer together as a couple, you are struggling to get along, or your marriage is completely broken. re|engage examines God’s design for marriage and applies principles from the Bible to guide couples towards growth in their relationship with each other. 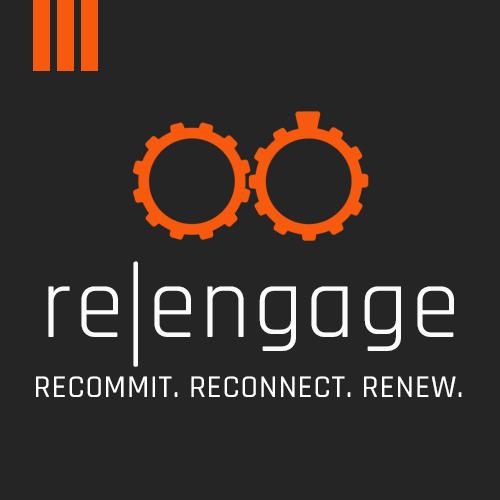 re|engage is a program where everyone attending is for your marriage. Join us as we walk together to learn from one another how to have more meaningful and satisfying relationships. re|engage is a 16 week small group curriculum and you can join in at any time! The Marriage Course is a series of seven sessions, designed to help couples invest in their relationship and build a strong marriage. The Marriage Course is for couples who are seeking to strengthen their relationship. Some couples do the course to intentionally invest in their relationship, others are looking to address more specific challenges. Either way, the course offers essential tools and practical ideas to help you build a relationship that lasts a lifetime. The Marriage Course is based on Christian principles but designed for all couples with or without a church background. *Please note that in order to be married at SRC or by an SRC pastor, either the bride or groom must be a member of the church. Select if bride is a member of SRC. If not a member at SRC, where are you a member? If you said Yes please enter the year you were divorced, or widowed. Bride, please give a brief history of your spiritual pilgrimage. What meaning does Jesus Christ have in your life today? Select if groom is a member of SRC. Groom, please give a brief history of your spiritual pilgrimage. What meaning does Jesus Christ have in your life today? Thank you for completing your wedding application. Congratulations on your engagement! We’re excited for you and we look forward to talking with you about your wedding ceremony plans. Give us a few days to check calendars and pastors’ schedules. We will then contact you to set up an appointment to discuss your wedding plans (date, time, location, officiating pastor). We hope that we can meet all of your requests. Thank you! Helping couples strengthen their relationship is no easy task. How do you encourage productive conversations? How do you address issues couples have if they are not yet aware of their problems? How do you identify their relationship strengths? What relationship skills can you teach to help couples resolve current issues and prevent future problems? How can you quickly understand a couple's needs and maximize your impact? For over thirty years, PREPARE/ENRICH has been the #1 guide for helping couples explore and strengthen their relationships. Built on a solid research foundation, PREPARE/ENRICH has been improved and refined over the years to become one of the best, most effective, easy-to-use relationship assessment tools available.